You have a software startup idea? Start with MVP right now! If you consider creating an application, whether web or mobile based, you probably thought already about starting with MVP (Minimum Viable Product). We are able to support you with full cycle of development: from building a business analysis, to developing MVP, and further updates. We have significant experience in implementing different kinds of software startup projects. On this page we will tell you about our expertise in the field of MVP building for startups, about our way of work, and about our pricing approach. If you already have an project in mind or just want to get free consultation, press the button below, contact us or leave a request. We will gladly provide you with a business analysis and our proposal within 24 hours. So what is MVP, why Celadon is a perfect choice for MVP startup projects, and how we can help you achieve the best results with minimal investments and start getting return on investment as soon as possible. The goals of MVP building, and how to do it right. First steps in building MVP - it does not matter whether you see your future project in detail or have a complex understanding of it, whether it’s complicated or everything is clear and simple – you can always determine main functions that dictate the logic and form structures that will later on serve as the base for the whole project. The price and time for MVP development is much less than for a full project and, what’s really important, you can almost always accurately forecast them. As a result you will invest not much and be able to release an app with all features that really necessary, and on the platform that you consider the best for your project: Web, Android, iOS – you will receive ROI even on this stage. Save you time - even if your project is big and ambitious, MVP development usually doesn’t take more than 3-4 months. As time has great meaning nowadays, we fully realize the importance of on-time delivery of MVP to the client. Getting feedback from the users: the user needs define the whole app and this is a must. Startups often build their perceptions about user needs based on some kind of hypotheses or own experience. But after you release MVP you will immediately get to know which features your users like and which ones can be removed. At this stage you will receive priceless information about user needs and it will allow you to improve their experience with using your app and plan your next steps of app development. Why MVP so important - Building MVP right way is one of the most important steps on the way of success of every application on the market. MVP is a base for the whole further business and you have to take it seriously if only you don’t want to go all over the development again in the future. MVP also enables you to update and improve the app, add and remove features. Moreover, well built MVP for worthy business idea can generate return of investment on that early stage. We usually recommend our client such MVP set ups, that are able to bring outcome, as we believe, that MVP has to be build to have value by itself. Convenient development process - when using flexible methodology, each development print offers you certain ready product features that work already. You can test them and implement changes during each stage. Open collaboration - Our mutual work is completely transparent. You can control deadlines and efficiency of work on your project. You control the result at each stage and formulate goals for the next one. We are always ready to communicate and work side by side with you. Rational and flexible payment system -due to Time & Materials model you pay for each stage of work, and payment is based on reports about finished work (either weekly or monthly reports). Efficient time management: We understand the importance of getting the result on time and with minimal investment so we use worldwide recognized practices in our work. Flexible development method SCRUM allows us to develop a product in short cycles. Regular reports from our side. Once a month, once in two weeks or even once a week we are ready to present a detailed report to our client with all the info about the process of project development, including all implemented features and tasks resolved, the amount of specialists that worked on the project and amount of hours they spent on each task. Write to us and request a sample report. Quality and effectiveness - that is why you choose us! Quality standards- our work processes are based onitil/itsm standards that allow us to achieve the best quality of developed products. - short duration of your project realization. - optimal resources for achieving set goals. UX/UI - interface structure and visual design are one of the main components for success. We keep it in mind while creating the apps. We also aim for developing convenient, modern and beautiful applications. 2.Testing of developed app – we make sure that functional performs as intended, check compatibility and adequate work of the app with various platforms and devices and we also conduct stress testing to check how app will react on unexpected user behavior and stress situations, such as: problems with connection to the network, unpredictable device turn-off, etc. After that we perform debugging and fix all defects. 3. Regressive testing – after debugging we conduct the final testing stage during which we make sure that no new bugs appeared. 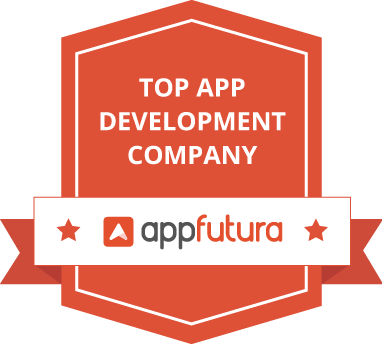 This allows us and our client to release an app that we are truly proud of. Focus on Middle East market – our head office is in Dubai and we can always be reached via phone or email. In addition, despite the fact that our development center is in Europe, our developers can always work with you in person, and if needed, in your office. We have completed projects for clients from Europe, USA and Asia. Right now we focus on Middle East, have expertise in the field of RTL development and design and all necessary knowledge about peculiarities of a local market. We are sure that we can offer you the best services for the best price. Depending on the size of your project, and the amount of our specialists involved, we use agile payment plans, starting from 1150 $ per week, or 4600 $ per month. Most of the MVP usually built in 2-5 months. In the end it is you, who determine the budget for the project. And be sure, you will get what you paid for. Generally, we can work with any reasonable budget, starting frоm 9 950 $. The budget for custom development depends on your application specification, size, features needed and many other factors. That is why the best and fastest way to get your own custom application price, is to send us request and we will gladly contact you back to consult or provide estimation for the project. You have a MVP project in mind? Tell us more about it and we will gladly help you.